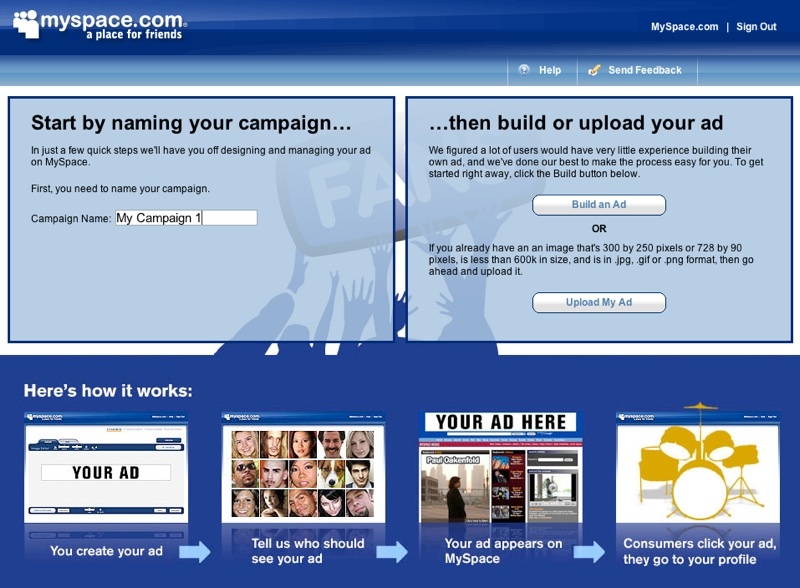 If Facebook Ads aren’t giving you much success, you may want to take a look at the new MySpace advertising network. The social networking site opened up their doors this week to offer advertisers the opportunity to serve ads on their site — similar to Google AdWords, Yahoo Search Marketing etc. Advertisers can choose from pre-made templates (728×90px leaderboard or a 300×250px rectangle) and then add on their own logo or design as well, followed by some copy text. The process of setting up an ad is also easier than the competing networks, with a more user-friendly interface. Getting into the specifics of your ad, such as demographic and location is similar to the other platforms you’re probably used to, but MySpace makes it more straight forward and less confusing. Have a look at how I set up a sample ad in less than 5 minutes. 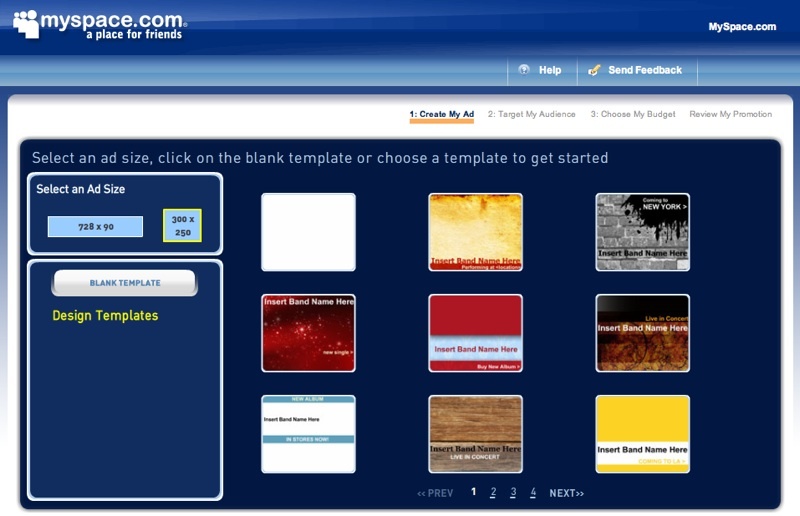 Firstly, you’re given the option to build a new ad using the MySpace templates, or upload your own design. This is also where you name your ad to keep track of your campaigns. 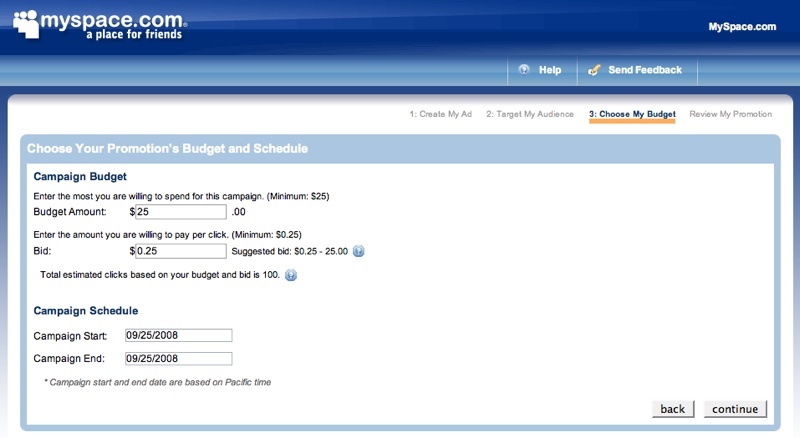 The second step is where you choose how your ad will look (if you decided to build a new ad). There are various styles and colours to pick from. You can also go with a blank template and add a logo with some simple text if you wish. As you can see from the sample above, I decided to go with a template and then ad my own text. I’d also never use the line “I’m Rich. You’re Not.” — I’m not that cocky. You can make edits from this page as well, and move around the text to whatever location you want within the ad block. The demographic and target location properties are very important with any PPC campaign. 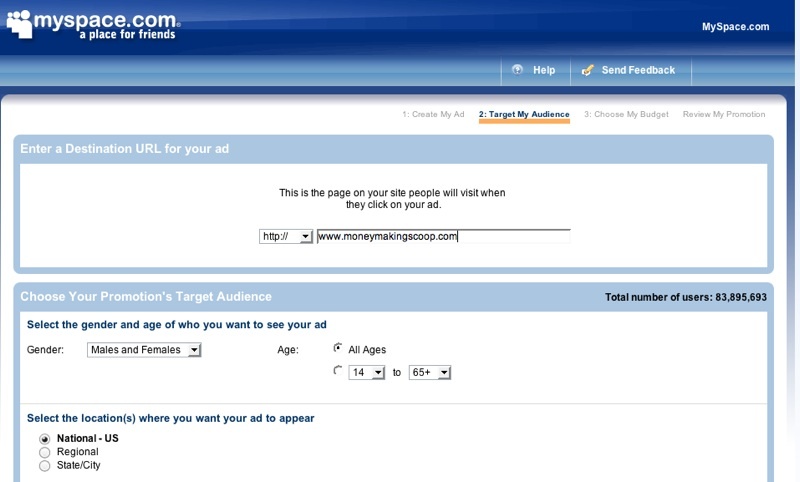 Here you can decide what age range your ad will be visible to and what countries you want to have the ad displayed in. This is where you also set the target URL that you want to be advertised. The final step is where you set up your ad budget and decide how much you want to spend per day and what you’re willing to pay per click. Of course, the higher your budget and more you’re willing to pay for each click, the higher ranked your ad will appear throughout the network. Overall, I’m very impressed with the MySpace advertising network. 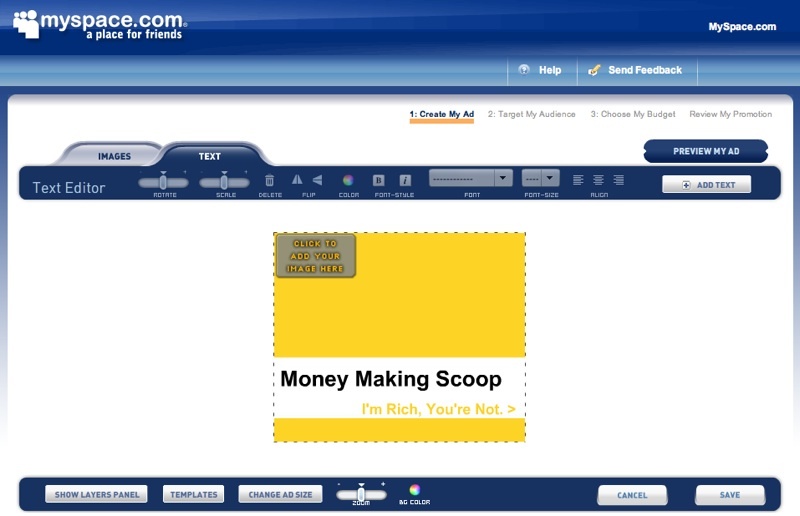 While I don’t use MySpace anymore for social purposes, it looks like it’s now becoming a great resource for advertisers. As of today, I have an ad running for a campaign and it’s getting thousands of impressions since only being live for about 4 hours. I’m thinking this will become the latest stop for advertisers, especially affiliate and Internet marketers looking to get their message out.